Prepare the mold according to the directions above. Whisk together 1/2 cup water, 3/4 cup cranberry juice, and 1/4 cup lime juice in a small saucepan. Sprinkle the 2 packets of powdered gelatin over top and let sit for 5 minutes or until the gelatin is softened and the surface of the liquid is wrinkled. Warm over medium heat, stirring until the gelatin is completely dissolved. Remove from the heat and whisk in 1/2 cup vodka and 1/4 cup Cointreau. 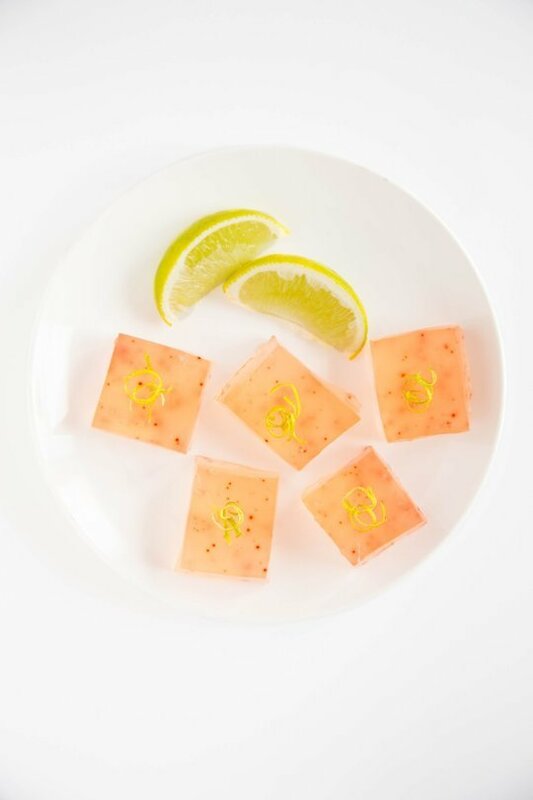 Garnish with lime zest before serving. Preheat the oven to 450 degrees. Line a baking sheet with foil and spray with nonstick spray. In a large bowl, combine the pork, Panko, egg, scallions, soy sauce, sesame oil, ground ginger, and a few grinds of salt and pepper, until just combined. Using a tablespoon-sized cookie scoop, form 35 meatballs. Brush each one with a little Hoisin sauce. Arrange in a single layer on the baking sheet. Bake for 15 minutes. In the meantime, bring a large pot of water to boil and cook the noodles according to package directions. Drain, rinsing the noodles under cool water, then drain again. Set aside. While the pasta and meatballs are cooking, whisk the sauce ingredients together in a bowl. Return the noodles to the pot and pour the sauce mixture over the top. Toss to coat. 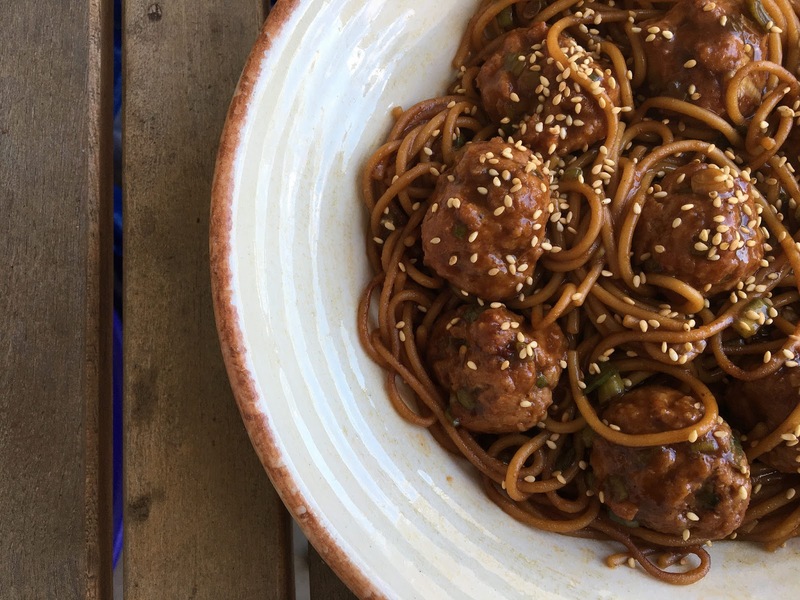 Serve a pile of noodles topped with some of the meatballs. Garnish with scallions and toasted sesame seeds. Preheat oven to 350 degrees. Butter a 10x15 inch jelly roll pan with butter. Line with parchment paper (NOT wax paper) and leave 2 inches of parchment paper hanging over the short edges of the pan. Butter the parchment paper as well. In a large bowl whisk together melted ½ cup of melted butter and sugar. Whisk in eggs and salt. Whisk in flour and cocoa until just smooth. Spread into a thin layer all over to the edges of the pan. Bake for 10-12 minutes or until the brownies begin to pull away from the sides of the pan. Remove from oven and let cool in the pan for 5 minutes. Using the overhanging paper, gently remove the brownies from the pan and allow to cool completely on a wire rack. When completely cool, cut the brownies length wise into two long pieces. 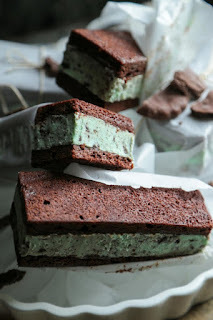 Place one half of the brownie back into the pan and spread the softened ice cream and spread until smooth and even. Top with other half of the brownie. Cover tightly with plastic wrap and freeze for about two hours, until set. Cut into 6-8 sandwiches. Wrap each sandwich with parchment paper for storage and place in an air tight container until devoured.